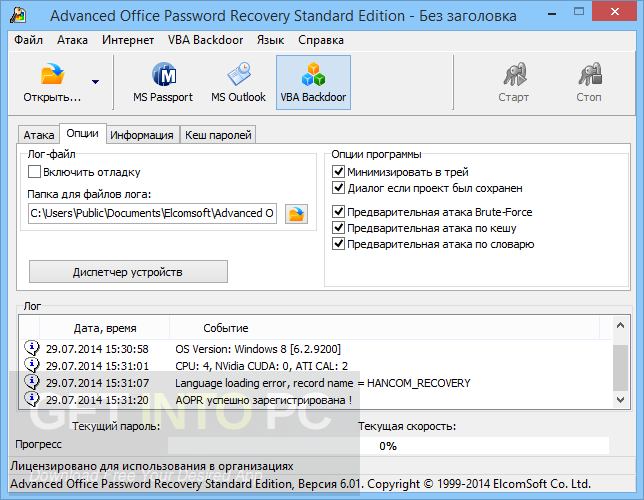 Advanced Office Password Recovery + Portable Download Latest Version for Windows. It is full offline installer standalone setup of Advanced Office. 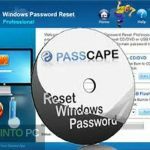 Advanced Office Password Recovery + Portable is a handy application which will let you recover the lost or forgotten passwords for your Office documents which includes MS Word, Excel, PowerPoint, Visio, Publisher, OneNote and Access Outlook etc. You can also download Advanced Archive Password Recovery Pro. Advanced Office Password Recovery + Portable has got an intuitive user interface which will address all types of the users which include novices as well as professionals. All the features are organized very nicely in tabs with various buttons which are placed on the toolbar for starting and stopping password recovery process. 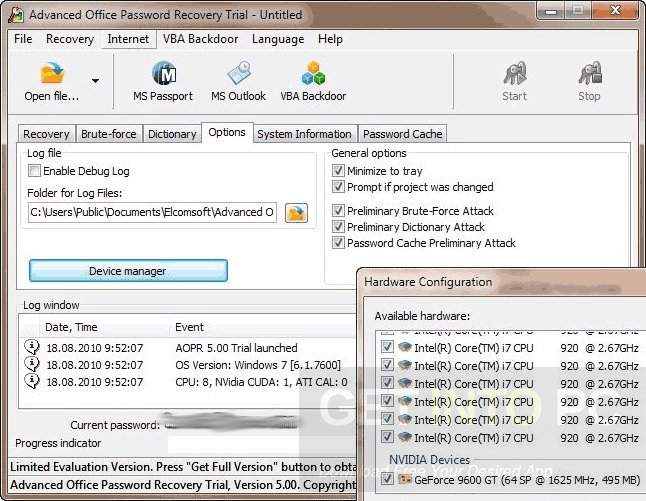 Advanced Office Password Recovery + Portable has got three different recovery modes which includes brute-force attack, brute-force with mask and dictionary attack. Now if you select the brute-force method then you should have a look at the dedicated tab which prompts you to pick the password length, character set and starting password and mask. The recovery process of your password can take any time i.e. from few seconds to few hours which depends upon the length pf the password and included characters. Advanced Office Password Recovery + Portable uses moderate amount of system’s resources. You can also download WinRAR Password Recovery 2013. Below are some noticeable features which you’ll experience after Advanced Office Password Recovery + Portable free download. Handy application which will let you recover the lost or forgotten passwords for your Office documents. Addresses all types of users like novices and professionals. Has got three different recovery modes. 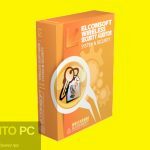 Before you start Advanced Office Password Recovery + Portable free download, make sure your PC meets minimum system requirements. 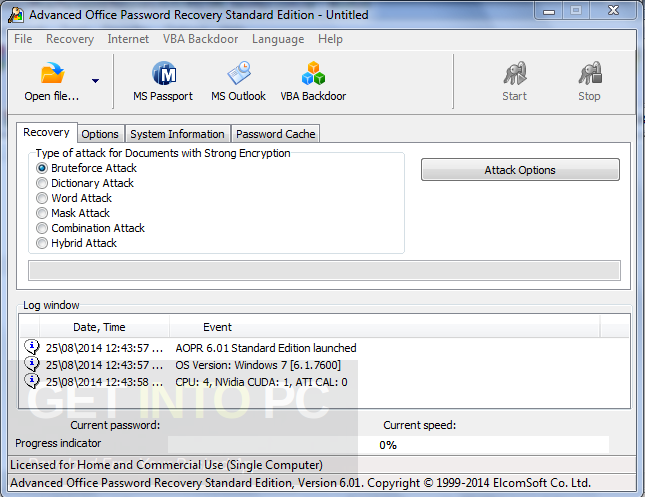 Click on below button to start Advanced Office Password Recovery + Portable Free Download. 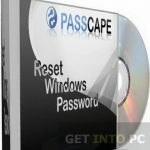 This is complete offline installer and standalone setup for Advanced Office Password Recovery + Portable. This would be compatible with both 32 bit and 64 bit windows.